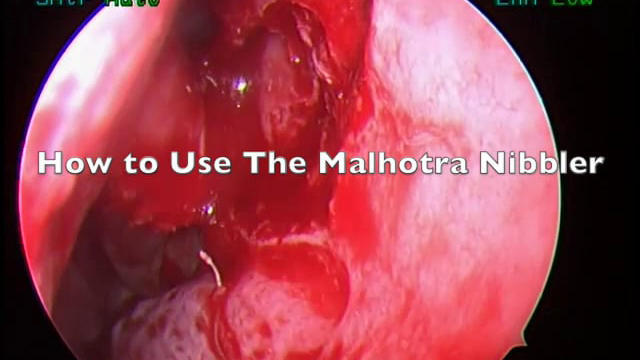 This narrated video demonstrates techniques for managing a narrow nasal space in endoscopic DCR. 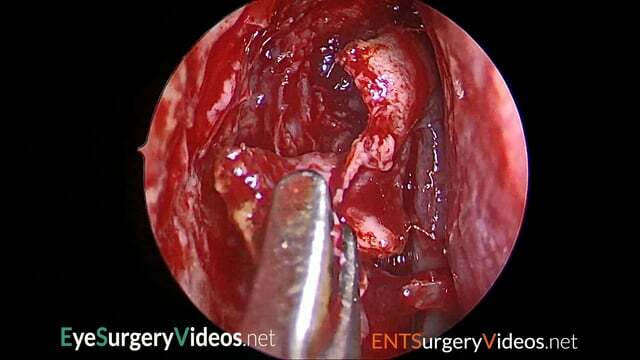 It shows how to use instruments to increase the nasal cavity space and access to the region overlying the lacrimal sac and briefly shows septoplasty surgery. 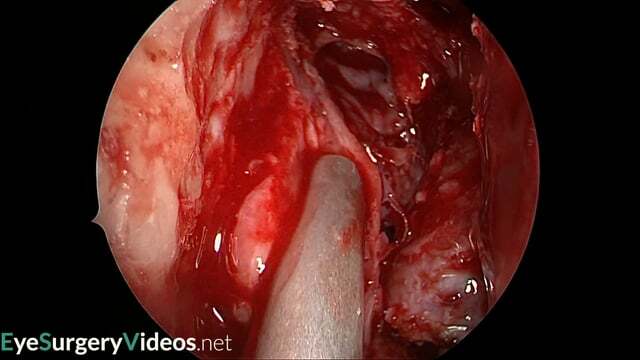 This narrated video demonstrates the nasal cavity surface anatomy for endoscopic DCR surgery, highlighting the location of the incision and the underlying lacrimal sac and briefly reviewing structures such as the middle turbinate, the axilla and the uncinate bone. 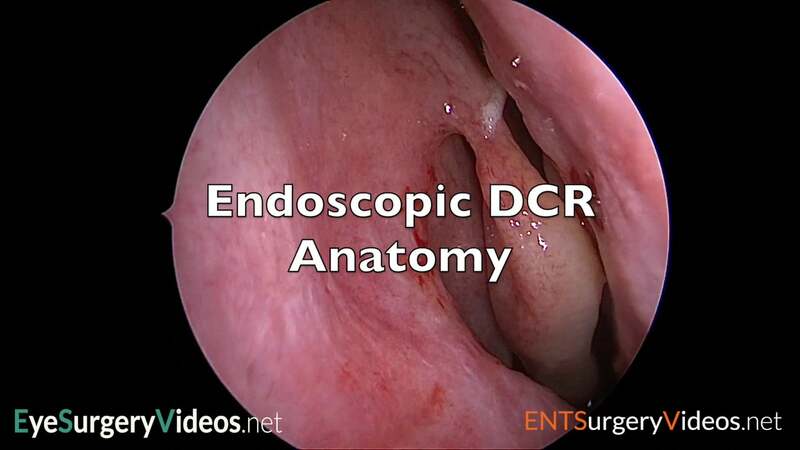 This narrated video demonstrates external DCR surgery. 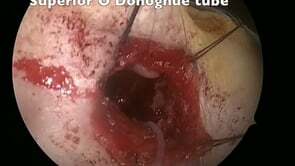 It discusses the surgical technique and anatomy. 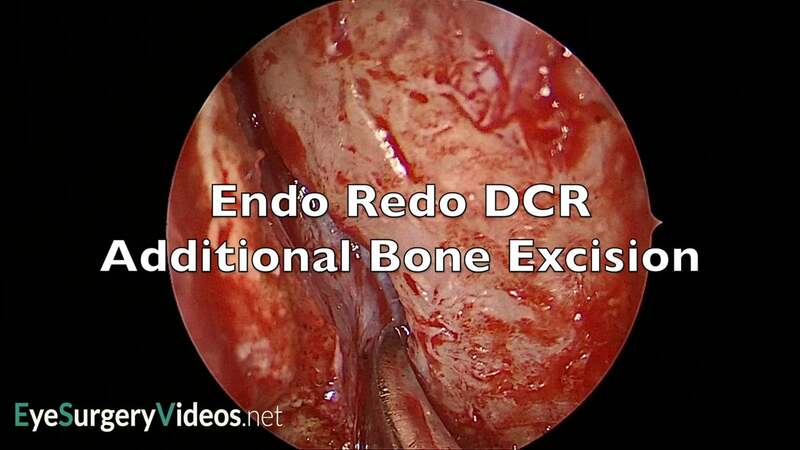 This narrated video demonstrates a endoscopic redo DCR in which a large amount of extra bone requires removal. 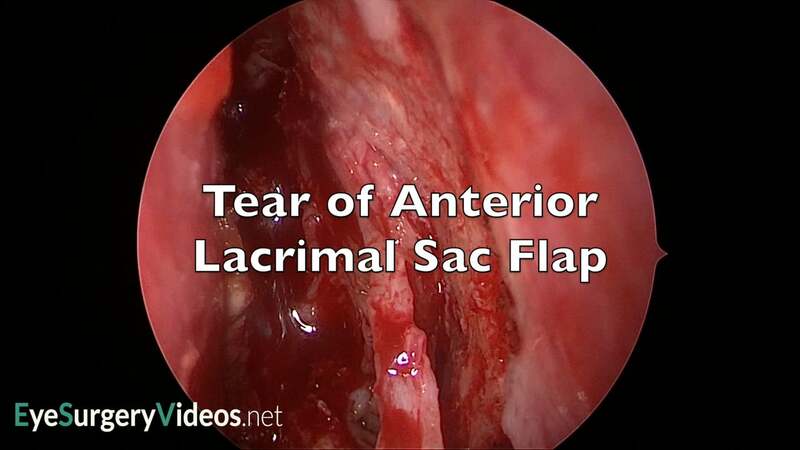 This narrated video demonstrates damage to the lacrimal sac during drilling of the frontal process with the DCR burr. 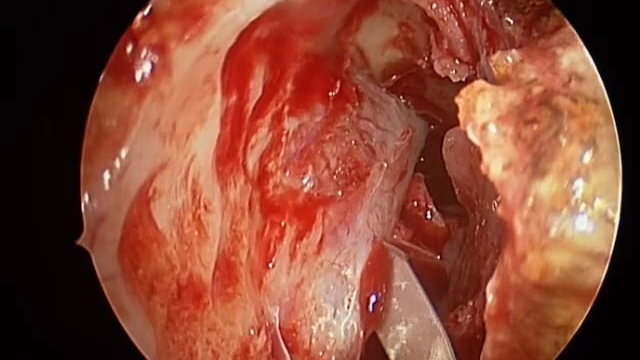 This narrated video demonstrates lacrimal sac dacryoliths being exposed and removed during endoscopic DCR surgery and discusses their presence, frequency and constitution. 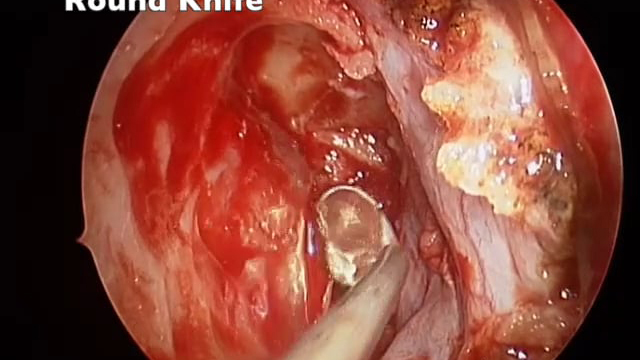 This narrated video demonstrates the removal of the lacrimal bone during endo DCR. 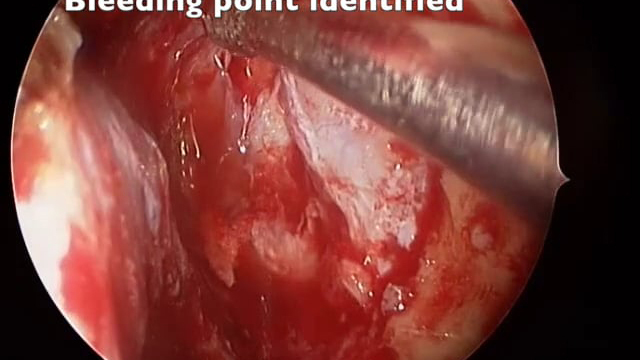 This narrated video demonstrates lacrimal sac opening during endo DCR surgery. 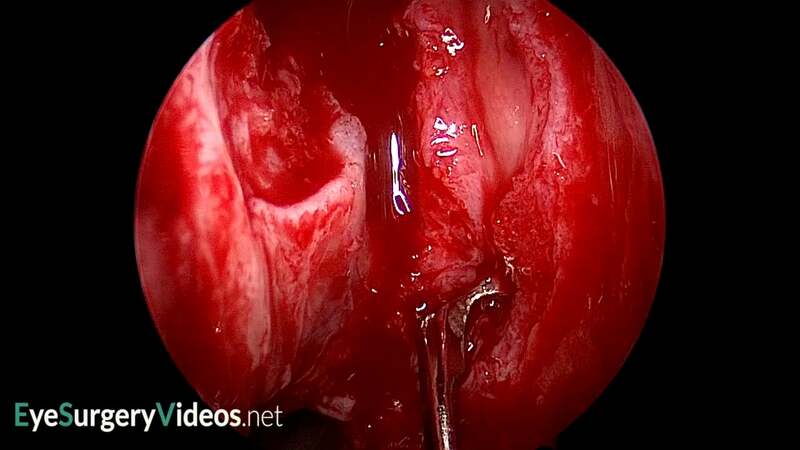 This patient has a very thin walled lacrimal sac which tears during opening highlighting the need for great care at this stage of the operation. This video demonstrates a modified DCR and Lester Jones tube insertion. The DCR has a smaller mucosal window and osteotomy than normal, which may help secure the Jones tube. 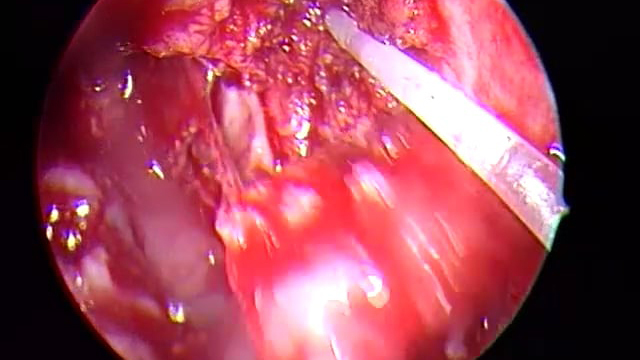 This video shows the endoscopic revision of a patient with late failure of an endoscopic DCR. At first glance the ostium appears large and patent. 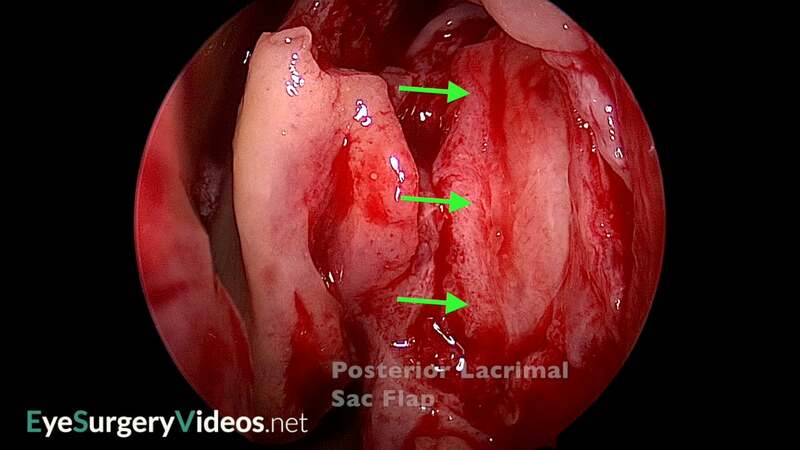 However, on closer endoscopic examination there is a fold within the lacrimal sac. This fold is probably a band of scar tissue. The fold is cut and O’Donoghue tubes placed. 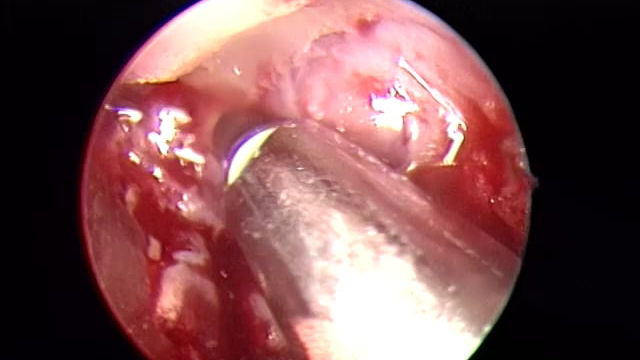 This narrated video of a section of an endonasal DCR demonstrates anatomical variation of the location of the suture line between the frontal process of the maxillary bone and the lacrimal bone. 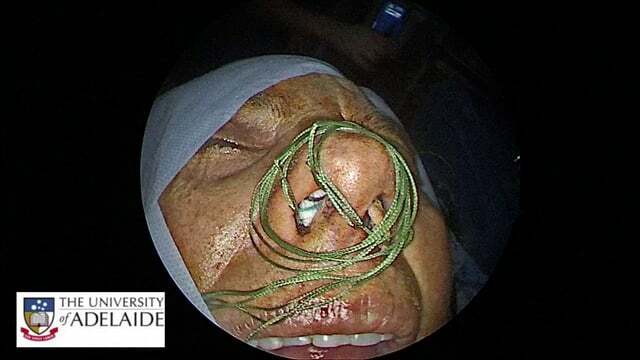 This case shows a posteriorly located suture line, which can make access more challenging. 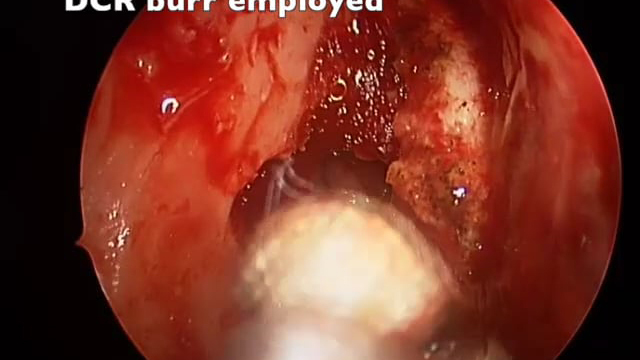 This narrated video demonstrates a very challenging endoscopic redo DCR and highlights some of the potential challenges in these cases. 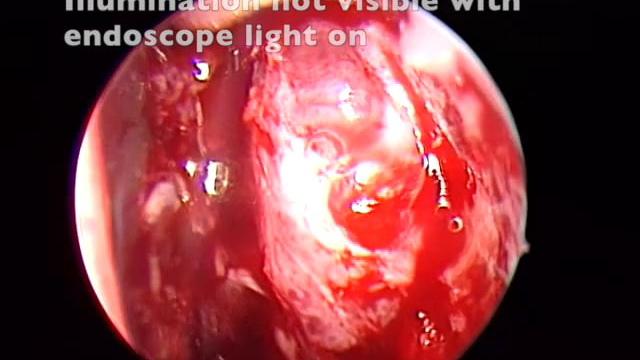 This video demonstrates the retinal endoilluminator being used to transilluminate the lacrimal sac, clearly showing the full extent of the sac. 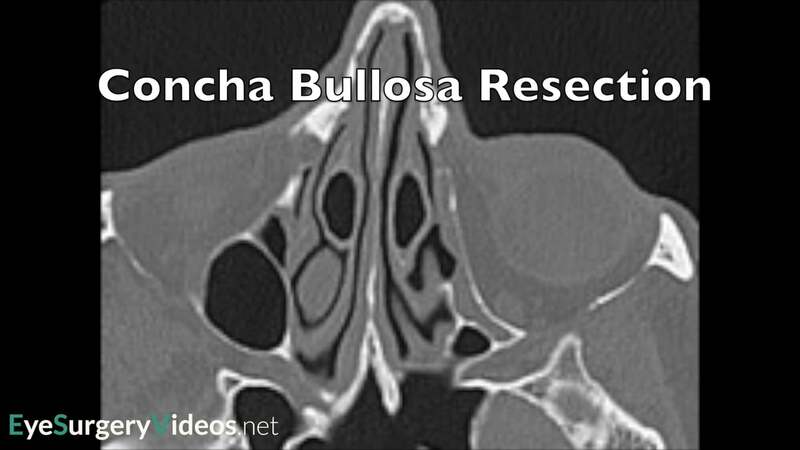 This can be particularly useful when the location or dimensions of the sac are uncertain, for example in redo DCR surgery or if the internal nasal anatomy has been distorted by previous surgery.